Control your home with the sound of your voice. App control, voice activation, artificial intelligence, or voice control, are all terms that describe the "new" integrated smart home. Simple commands can turn on individual electronics such as a TV, open or close shades, turn on or off lights. 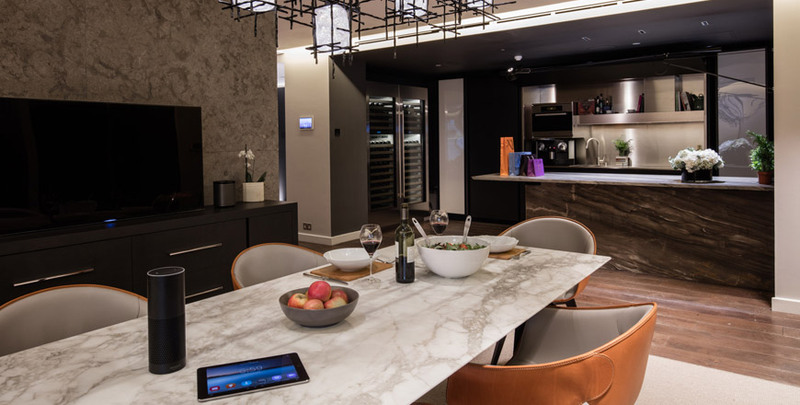 Voice-activated scenes can operate multiple resources such as lights, music, TV and a number of other integrated systems all at once for convenience or necessity. Convenience can be something as simple as when you enter the home and say "I'm home", which can trigger hall pathway lights and your favorite music station to welcome you home. A "Good Morning" can be set to turn on a dimmed lighting scene, turn the TV to your favorite news station, and even start the coffee! This can also be considered a safety necessity when you arrive home late in the evening and tell your home "I'm home" so that the path lights, accent lights, and favorite music source turns on. Camera's can be positioned to point locations as well. Although there are a number of voice-active resources fighting for position, the fact remains that in most full integration systems, a custom integrator is necessary to pull it all together and that's where Kozi Media Design comes in to play. To learn more, call Kozi Media Design at 1-877-746-5694 or send us an e-mail. 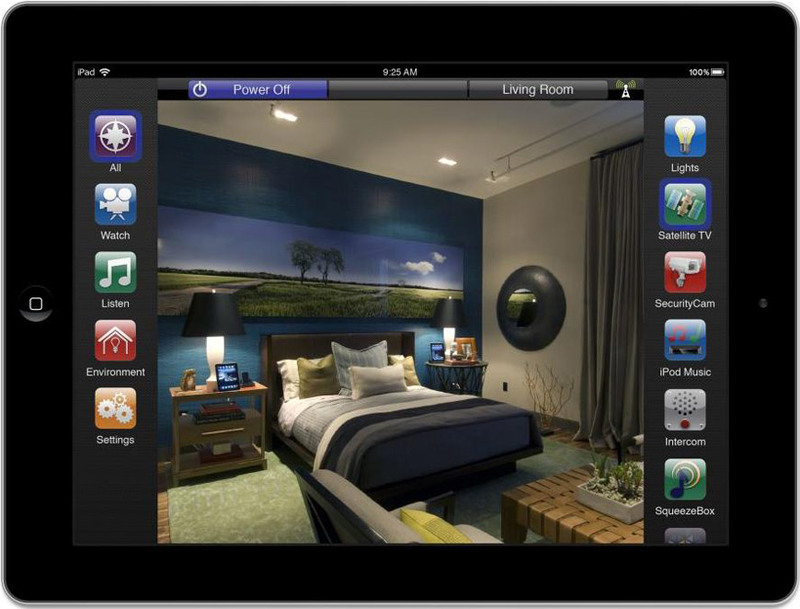 Control your home from anywhere with remote access from Kozi Media Design. Learn more.